It’s a very exciting time in Oscar Isaac’s career. The 40 year-old actor became a household name from his role in the Star Wars franchise, playing smart-mouthed Resistance pilot Poe Dameron. Since then, he’s booked a ton of work, appearing in a multitude of movies every year. And with Episode IX ending the current trilogy and Skywalker Saga forever, it should be fascinating to see which projects Isaac signs on for, now that his schedule has opened up a bit. 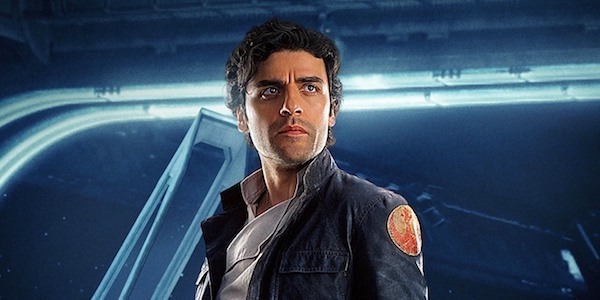 While shutting down any possible rumors or reports of talks with Warner Bros., Oscar Isaac did make one thing clear: he’d love to work with Matt Reeves. So perhaps the director could end up giving Isaac the call to play the new Dark Knight after all. Oscar Isaac’s comments come from his interview with Metro, while the actor was on a press tour for his Netflix movie Triple Frontier. Interestingly enough, he’s starring in the heist film alongside Ben Affleck himself. So if he ever gets approached to play Batman, he’d be taking on the mantle from a recent friend and colleague. Of course, he clarified that that process hasn’t even begun, and there is no truth to rumors about Isaac’s involvement in The Batman. He may have shut down the rumors of his role, but Oscar Isaac’s final comment in the statement above is going to get DC fans very excited. He doesn’t seem to have ruled out the possibility of playing Batman, expressing his interest in working with Matt Reeves. So the excitement and rumors will likely keep swirling until Reeves finally revealed who is taking the title role in The Batman, now that Ben Affleck is officially out. Realistically, Oscar Isaac seems like a less likely choice to play Batman, given what we’ve learned about Matt Reeves’ still developing DC project. The Batman will reportedly focus on a younger version of Bruce Wayne, who is more green in his vigilante work. Oscar Isaac is only 6 years younger then 46 year-old Ben Affleck, so that might take him out of the running. Although most Star Wars fans would kill for a chance to see him behind the cowl. After saying goodbye to Poe this coming December, audiences will want another excuse to see him on the big screen.